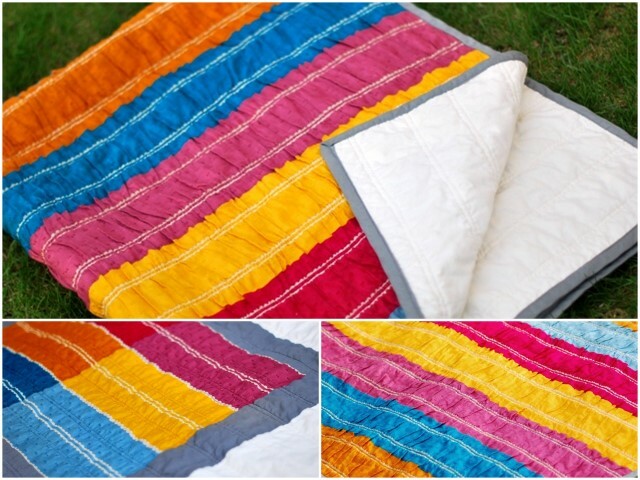 Bijou Lovely: lovely designs: ruffle quilt. 18 lovely designs: ruffle quilt. Did you guess my SYTYC project last week? 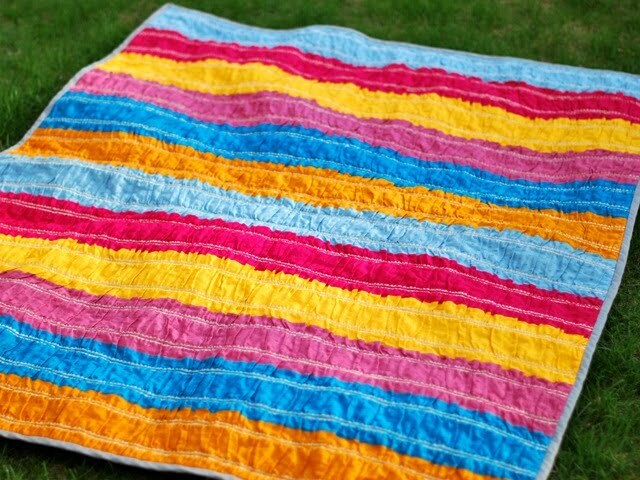 A pretty ruffle quilt made of Anna Maria Horner's Little Folks Pastry Line. I love the ruffly texture and the softness of the voile. The back showcases the fabrics in a gray frame that matches the gray binding. I kept the quilting simple with straight lines across the white scallops on the front. I've had the idea of this ruffle quilt in my head for quite some time now, it was nice to be able to put my thoughts together into something tangible and I couldn't be happier with the result. Stay tuned for a tutorial later this week! This quilt is so lovely. The colors are striking, and the texture looks divine. What a great job you did. I'm excited to learn how. Good luck with the coming week. this is beautiful! i can't wait to see the tutorial!! I loved this project, I can't wait to learn more about it. It is really beautiful. Seriously awesome quilt! Love the colors and the texture! This is so great. I wish I were a quilter. I am just too impatient!! You are talented. Good luck this week. That is gorgeous. Using just the palette of the range of fabric and simple stripes with the texture of ruffles. Oh My. I love the colors in this. They all go together so well. You do beautiful work! This was my favorite project! You had my vote right from the start... *grin* I can't wait to see how to put this together! Takes my breath away!!! Gorgeous!! I LOVE this quilt! You got my vote at SYTYC! I hope there is a tutorial to follow? Thanks for sharing. That is beautiful! I want one! Oh this is such a lovely blog post. 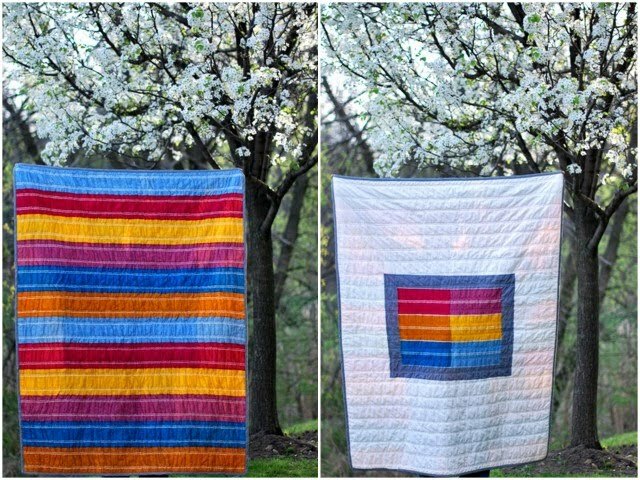 Such a sweet quilt and great pictures as well.